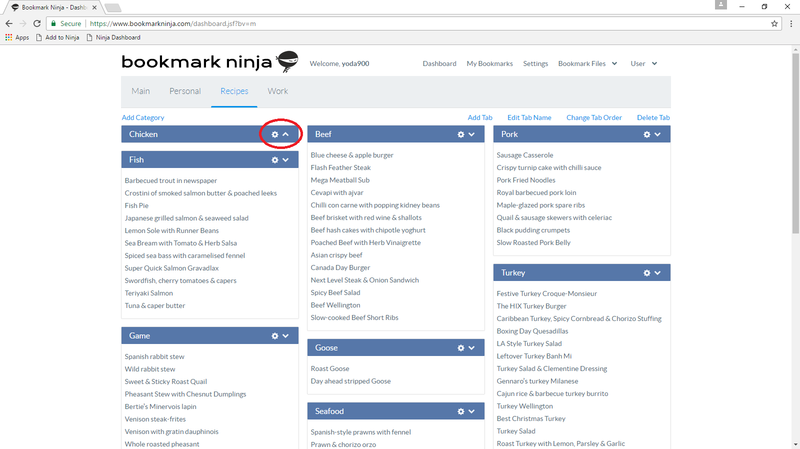 A small but pretty useful feature has been added to Ninja. The category groups on the Dashboard can be collapsed and expanded. There is an up or down arrow icon next to the gear icon in the category group header. Click on the the arrow icon to collapse or expand the category group.